If designed well, automated vehicles have considerable potential for reducing congestion, increasing safety, and providing new transportation solutions for people who currently cannot drive. This study is investigating the potential need for additional exterior signals on automated vehicles. This research is relevant for ensuring pedestrians, cyclists, and other drivers are accommodated. The study results will be made public. VTTI has been conducting transportation research for three decades. VTTI works closely with all involved in the performance of a study to ensure safety is maintained while study data are collected. VTTI is a pioneer in studying advanced technologies in real-world environments; in collaboration with local municipalities, further research into this arena can be performed to evaluate the potential benefits for Virginia citizens. The driver’s seating area is configured to make the driver less visible within the vehicle, while still allowing him or her the ability to safely monitor and respond to surroundings. Development of the test vehicle focused on ensuring driver safety and included several months of piloting and testing the vehicle, first in controlled areas, then in low-density areas and finally in an urban area. All VTTI studies are approved by the Virginia Tech Institutional Review Board, which is charged with the protection of human subjects in research. Arlington County officials were included during the planning of this work. Arlington County was selected for this study because it is representative of the urban areas for which automated vehicles are currently being considered. Research projects such as this (e.g., studying human behavior in the presence of new technology in the real world) are extremely valuable to policy makers and vehicle manufacturers. Combining a seasoned transportation research institute like VTTI with an urban environment as robust as Arlington County will result in an ideal platform for this and future studies with a variety of potential transportation technology companies. 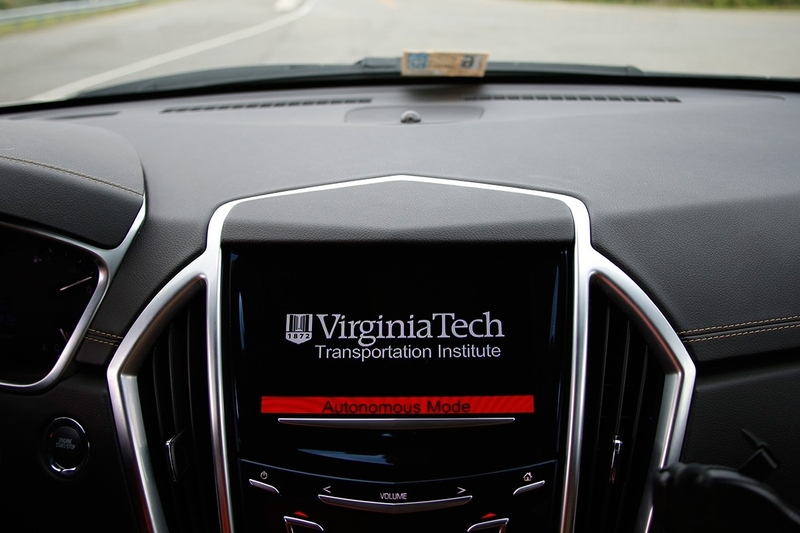 This study will continue to advance Virginia as among the few states performing automated-vehicle research. This work provides an excellent opportunity for establishing multi-agency coordination that will be of value in automated-vehicle studies going forward with the Commonwealth.